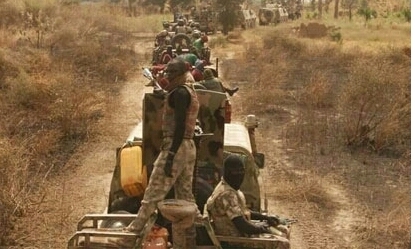 Nigerian Soldiers clearing the Sambisa forest in the North-East of Nigeria. And here is my sweetest appeal, Nigerian military a distinct brand; standing tall and never crawling. *** Dedicated to Nigerian Army for their success in the fight against the Boko Haram insurgents.